"Have to be adaptable in this industry"
Will Android stay as Sony's only OS? Sony has refused to rule itself out of a move to alternative smartphone operating systems. 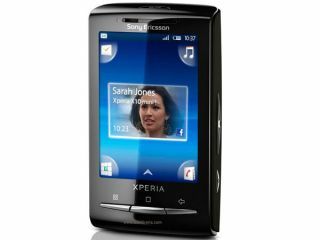 Speaking at the press conference to announce that it is buying Ericsson's share of the Sony Ericsson smartphone venture, CEO Sir Howard Stringer refused to be drawn on whether the company is looking at an alternative smartphone OS. "We never say never to anything; we have to be adaptable in this industry, but obviously we're great Google customers." When asked about acquiring the webOS platform, Stringer was more direct, stating that although he wouldn't rule it out, it's 'not something we're thinking about'. It seems highly likely Sony will stay a loyal customer of Google's Android OS for the foreseeable future, as it's this platform that has helped the company finally return to profitability in the last year. Sony is hoping that the smartphone acquisition will position it as a major player in the connected space, with interoperability between its tablets, TVs, consoles and now smartphones. The deal should be completed by early 2012, meaning Sony-branded smartphones could start popping up at Mobile World Congress in February.